The ruling by Judge Ian Bruce Josephson absolving two Sikh nationalists in the bombing of Air India Flight 182 divided the packed room in the Vancouver Law Courts: supporters of the accused gasped with relief while relatives of the 329 victims cried in disbelief that their 20-year quest to bring the killers to justice would be unfulfilled. Josephson’s ruling, that the chief witnesses against Ripudaman Singh Malik and Ajaib Singh Bagri were not remotely credible, still leaves intact a whodunit of global proportions, among other issues. Who conspired to plant bombs on flights leaving Vancouver and connecting with two Air India planes? Will the acquittals fan once ardent passions among extremist Sikh separatists, who two decades ago waged a ferocious fight with India for an independent Sikh state called Khalistan? The massive investigation and trial did not even touch the hardest question for all Canadians: Is the country prepared to stop an attack by the next group of extremists? The established facts in the Air India case shed some light. The leader of the conspiracy was Talwinder Singh Parmar, a Canadian immigrant killed by police in India in 1991. He was a co-founder of the separatist group Babbar Khalsa. Bagri was part of the group, whose members had called on Sikhs to punish India for crushing a 1984 separatist uprising at the Sikh Golden Temple at Amritsar. Yet India is now led by a Sikh Prime Minister, Manmohan Singh, and separatism has all but vanished there. The dream of Khalistan has faded in Canada, home to 300,000 Sikhs, but separatist factions remain, says Rattan Mall, editor of the Indo-Canadian Voice in Surrey, B.C. When Mall was leaving India in 1990, friends there chided him about Canada by joking “Welcome to Khalistan.” Experts say most extremists arrived here with a wave of conservative immigrants in the 1970s. Babbar Khalsa remains active in Europe and North America, say terrorism experts. “If there is a need and a leader, perhaps they will become active again,” says Inderjit Singh Jagran, 41, a separatist who fled to Canada in 1991 and now works toward Khalistan with Akali Dal International, a political party that espouses peaceful methods. Canada banned three Indian separatist groups in 2003 as terrorist, but their posters have been reported in gurdwaras, or Sikh temples, in Ontario and only recently were removed in conservative British Columbia temples. “I won’t say they are a spent force yet,” says John Thompson of the Mackenzie Institute, a Toronto-based security think tank. Among Sikhs in Canada, reaction to the Air India trial is as deeply split as the bitter, longstanding rift between moderates, who have accepted modern customs, and conservatives, who want Sikhs to adhere to traditional ways. That split does not bode well for solving the actual crime anytime soon. While moderates have controlled the majority of British Columbia’s Sikh temples since 1998, some Sikhs still won’t help authorities. “In our communities, nobody will come forward, even though they know who did it, due to fear,” says Sadhu Singh Samra, vice president of North America’s largest Sikh temple, the Guru Nanak Gurdwara in Surrey, B.C. That fear is well founded. 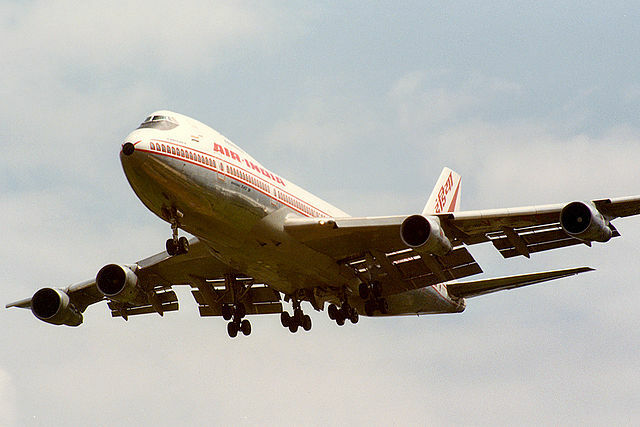 The identities of many witnesses in the Air India trial are shielded, some are in witness-protection programs, and two potential witnesses were assassinated in the 1990s. The C$100 million trial itself was conducted in a specially built, C$7.5 million bombproof courtroom. Only one person has been convicted in the case: Inderjit Singh Reyat, who was charged with Bagri and Malik. Before the trial, he pleaded guilty to manslaughter for supplying materials used in the Flight 182 bomb, and was sentenced to five years. Reyat had also been convicted earlier in the explosion of another suitcase bomb–destined for another Air India flight–at Tokyo’s Narita airport, which killed two baggage handlers. That leaves no other suspects despite a 20-year police investigation costing some C$140 million.